What makes a design good, and most importantly successful? 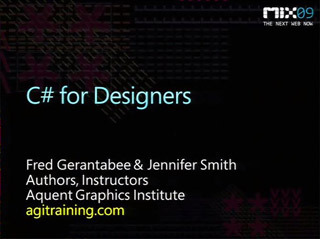 There are many theories about design; in this session you discover theories that designers have been using over the years to build aesthetically pleasing designs. In this session you are provided a compressed view of the history of good design. You also have the opportunity to build designs that take advantage of space, grids, and strong typographic fundamentals. This session can help to build a foundation in design and provide you with the confidence you need to know where to place items of importance in your on-screen projects. Gain an understanding of space and how to relates to the work you create; using Grids to help organize data and improve user-experience; and putting it all together to create a successful design. Does anyone know if this session covers ALL CAPS? I hear it's all the rage. Can somebody please fix the link for downloading the presentation for this video? Very useful for developer like me that know nothing on design, Thanks Jennifer!